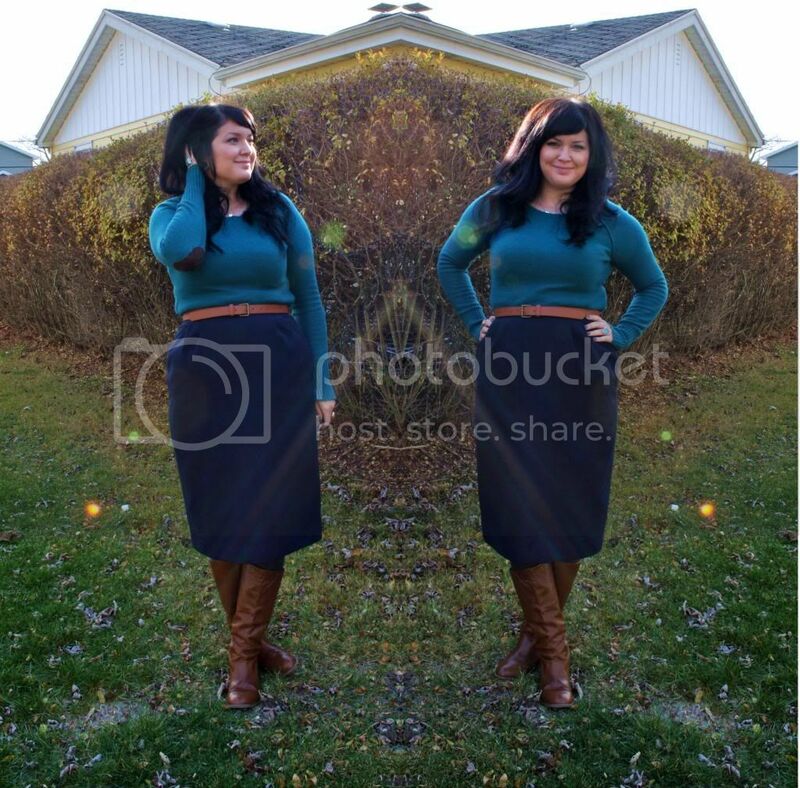 susannahbean: Elbow patches and pencil skirts. 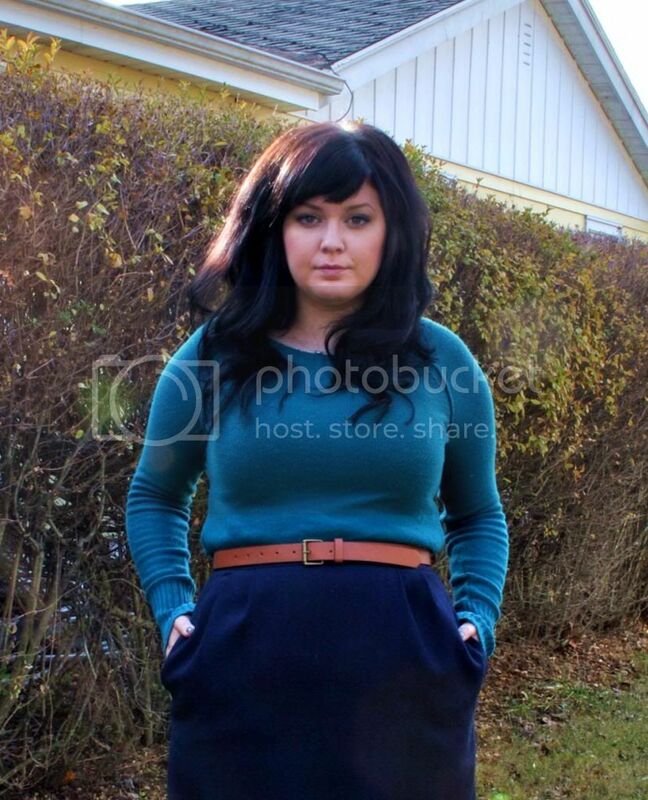 Elbow patches and pencil skirts. First off, I need to say thank you to everyone who took part in my sale this past weekend. This season is the best I've had yet, which I said last year, and the year before that too. I'm so unbelievably thankful that you guys are into what I make, and that, at a time when I'm between real-life jobs, I can pay my bills with the fruits of my hobby. That blows my mind, and I couldn't be more grateful! So, thank you again! Chris has the next couple days off, and I'm determined to get our Christmas tree up while he's home! I have no idea where we're going to put it, though, our house is teeny tiny compared to where we were living last winter. We're also rewatching Lost right now, and we've gotten to the point in season 6 where I just can't keep track of everything that's happening. I think we may need to backtrack a little! Love sweaters in theory, but am always too warm! Cardis have to be what I choose because I can shed them easily. I remember those poor sweater choices in high school as well. At least those times were never documented anywhere... unlike my older sister who took her senior pictures wearing a turtleneck sweater with no sleeves. It's as horrible as it sounds haha. You look amazing, btw! I think I need something with elbow patches in my closet ASAP. I am in love with over-sized sweaters and elbow patches! Ha! That's pretty bad when even the second time around you still can't keep it all straight. I think it had potential to be one of the best shows ever but the writers really blew it towards the end. BTW love that skirt! It got so jumbled at the en! I couldn't keep the different story lines straight. I like that the ending wasn't fully explained, but it was *too* open ended. Still a great show though! actually a pencil skirt is perfect for your frame. Just make sure it fits snuggly from the waist, through the hips, and looser towards the end of the skirt. Retro styles, like the pencil skirt, is sheer perfection on curvy ladies, I like to think of myself as a blonde Joan from Mad Men when wearing them! Love this outfit! Beautiful colors (and the caramel accents), looks very cozy too! Cute outfit! Oh gosh, I want one of your crochet hats for christmas! eep! Love this simple outfit. Elbow patches are amazing!